Snaxpo 2019, the largest show for the snacks industry will take place in Orlando, FL this year, and as a local host, Masipack is welcoming the Snaxpo visitors to take a tour of our facility and see our equipment running at our showroom. Please contact Ms. Amy Lee at al@masipack.com or (321) 800-2530 to schedule your visit. 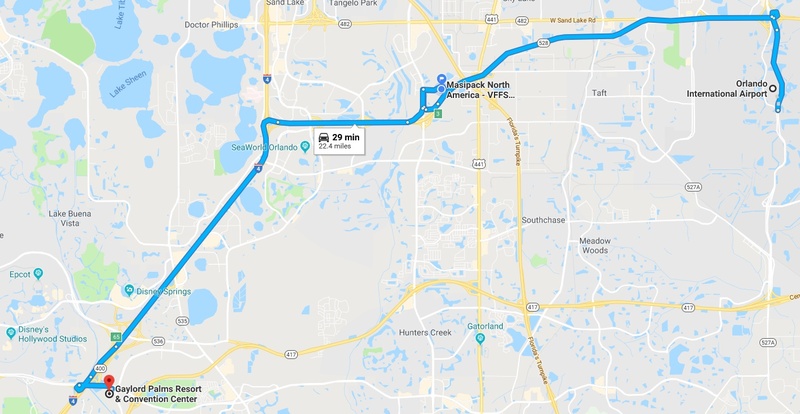 13 minutes from Orlando International Airport.